A comprehensive marketing and brand-building plan for a financial group. 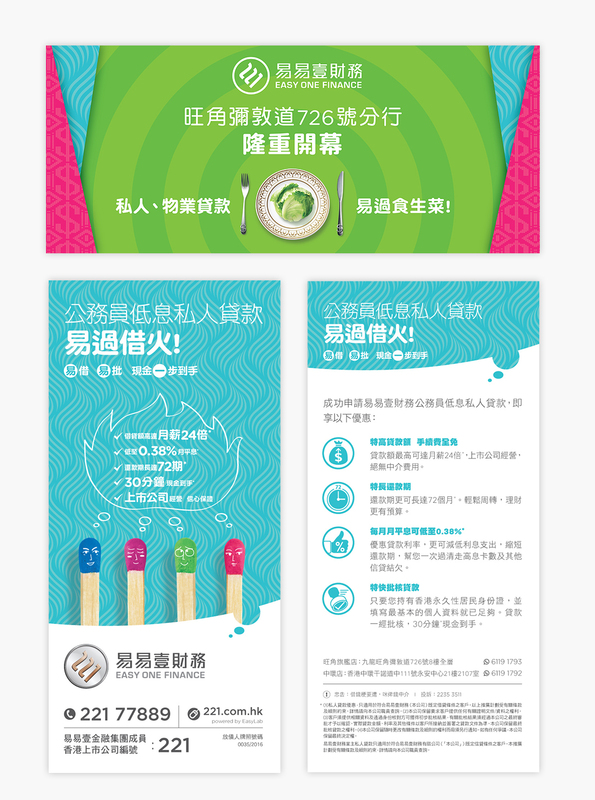 Easy One Financial Group Limited (“Easy One FG”, Stock Code: 221) was listed on the Stock Exchange of Hong Kong Limited back in 2002, and the group has continued to expand since. 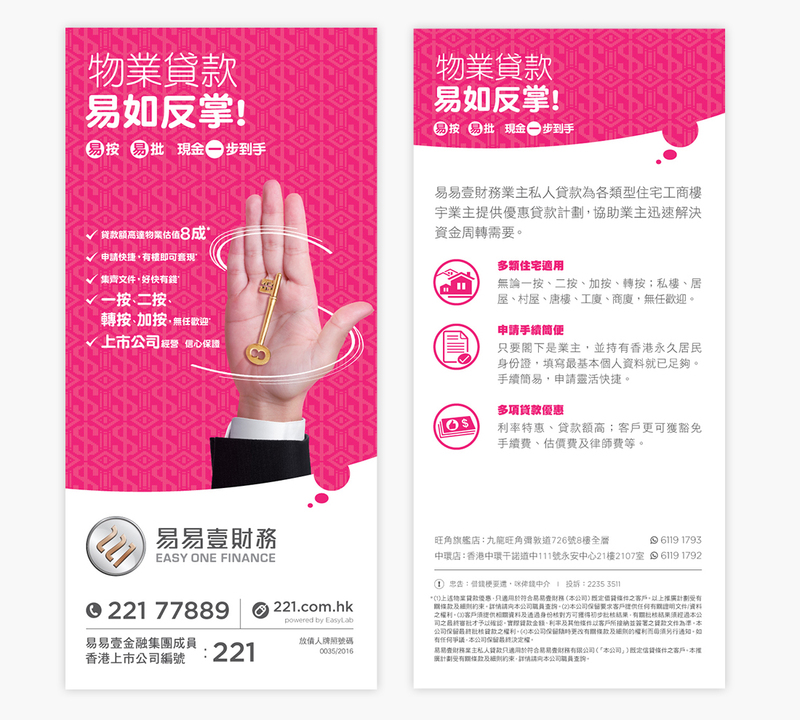 In 2016, they launched a new company under their group named Easy One Finance Limited (“221”), and we devised their media and marketing plan for how we will help them execute their promotional campaigns over the next year or so. Not only we built 221’s brand image and branding guidelines, we facilitated their marketing communications of their new company through multiple channels. 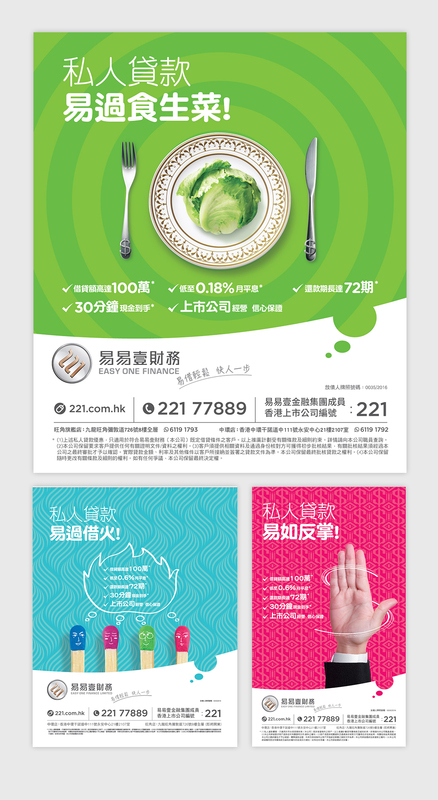 Apart from designing and developing their official website (http://www.221.com.hk/), we also advertised via online channels such as Google banners, crazy ads, eDMs, SEO, and PPC. 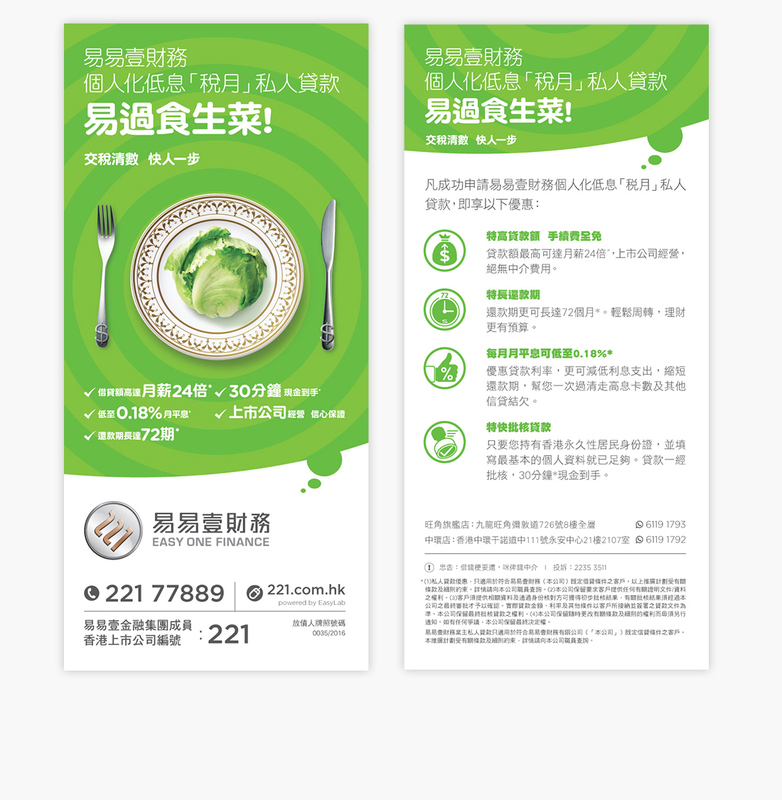 A comprehensive range of offline marketing materials were also created. 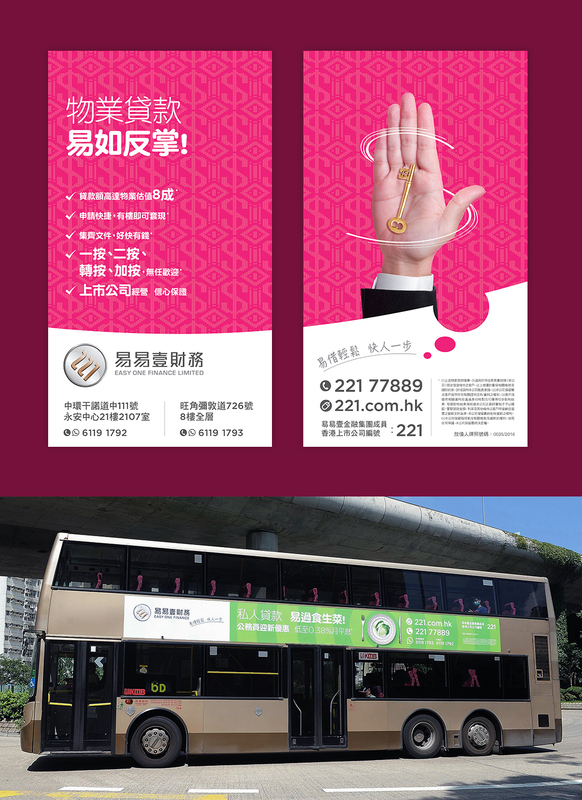 For the grand opening of their second branch in Hong Kong, we designed/ produced/ installed various items: external and internal lightboxes, banners, LED panel display sequence, posters, leaflets, lobby wall sticker, and lift door stickers. 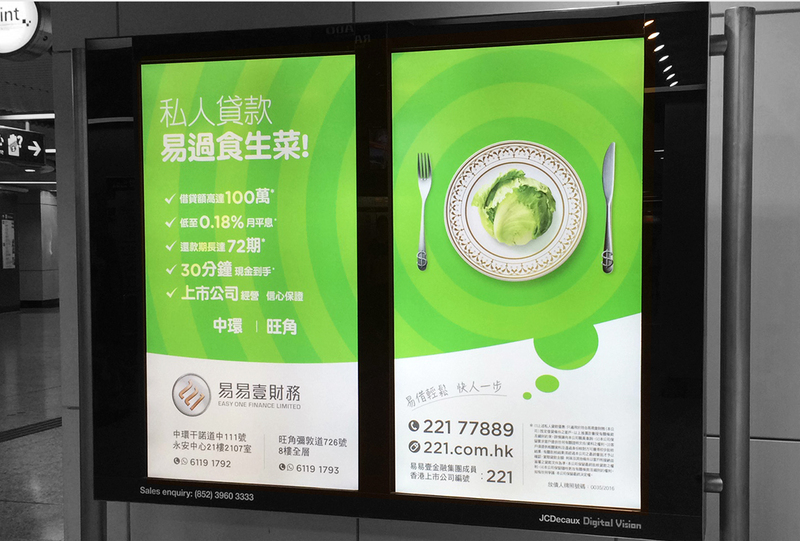 Ongoing advertisements also enhanced the overall impact, such as MTR digital panel advertising, bus body and bus seat ads, and printed ads in newspapers. This is an ongoing project that will continue into 2017, especially with the company’s ongoing expansion and the launching of additional branches.